Launching DEW’s limited edition release of the hotly anticipated Baja Blast. For over ten years, if DEW fans wanted their fix of Baja Blast, they had to go to Taco Bell. The exclusive flavor has achieved mythical status amongst DEW diehards. Some have even concocted homemade recipes in an attempt to recreate the one-of-a-kind taste. But in 2014, DEW finally released a limited amount in bottles & cans for the first time ever—just enough for the summer. 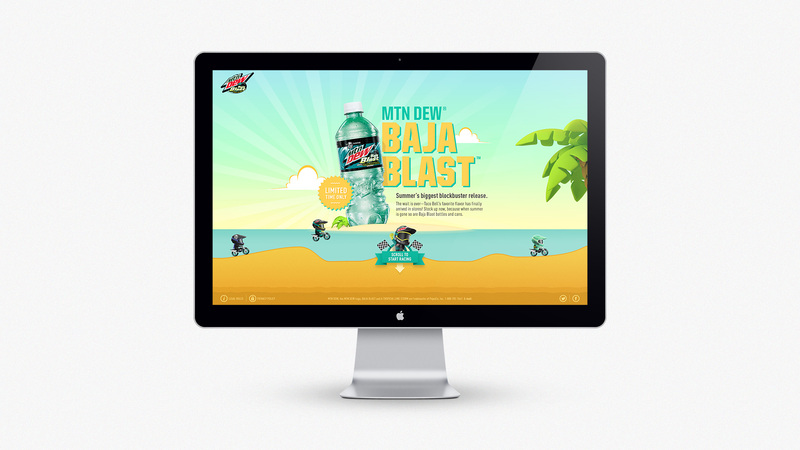 We created the official online home of Baja Blast to help tease the monumental announcement and launch the campaign. 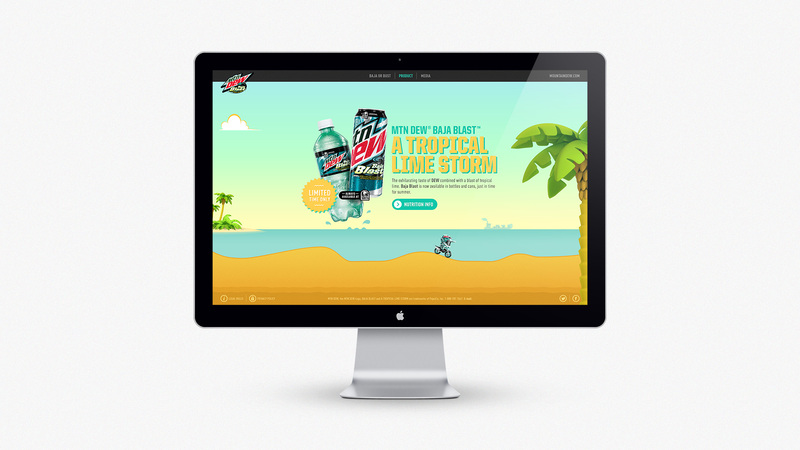 MountainDew.com/BajaBlast is a hub where fans can connect with everything Baja Blast. 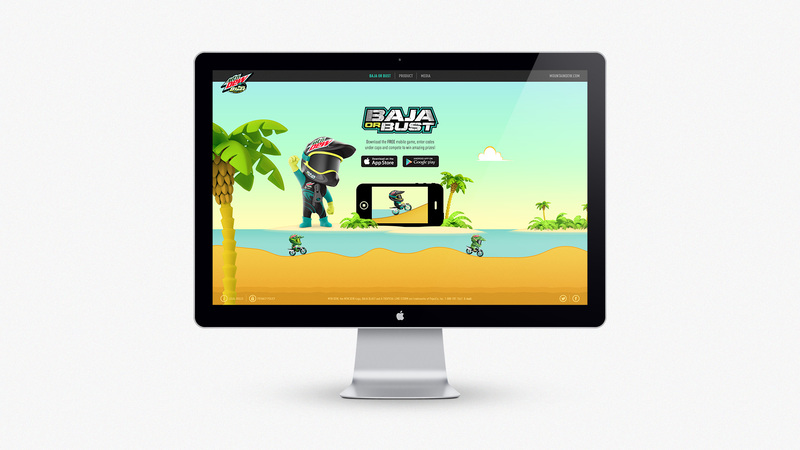 There’s even a DEW-themed mobile racing game available for download. To promote the app, the site was designed to be reminiscent of classic side-scrolling video games. The mobile and tablet versions of the site are also fully animated. The moment we announced the launch, the response was immediate. Fans have shown their gratitude on social media and are stoked to spend the summer enjoying their favorite tropical flavor of DEW.